Have you noticed that your referral traffic from Twitter has been slipping of late? You're not alone - in a recent post, marketing expert Jay Baer noted that the average engagement rate for brands on Twitter is now 0.049%. That's lower than the average banner ad click-through (0.5%). Of course, Twitter's never been a great driver of traffic. 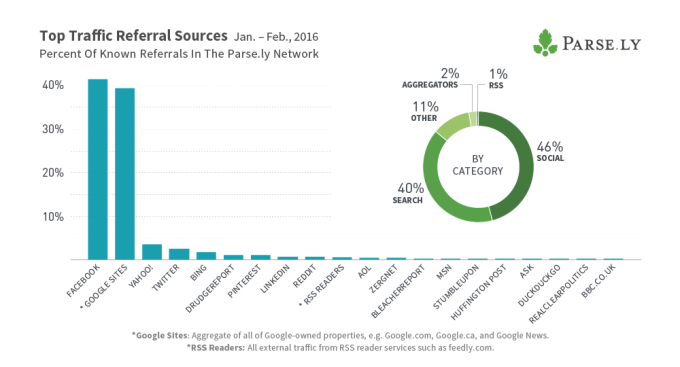 Last year, Parse.ly reported that Twitter paled in comparison to Facebook or Google as a traffic source, even being beaten out by Yahoo! But then again, the chart shows that pretty much everyone has been beaten out by the two giants - but additional reporting indicated that LinkedIn referral traffic has actually been rising, as has Pinterest. If you've noticed a slow decline in your Twitter traffic, one thing that could be impacting it is the shift to an algorithm-defined feed. 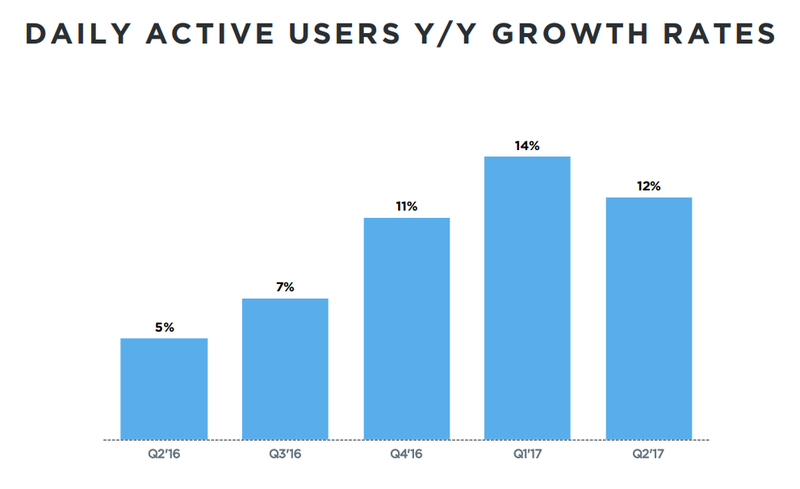 It's been around 18 months since Twitter introduced their algorithm, and thus far, the results have been good for the platform, increasing daily active engagement rates and - up till the last quarter at least - helping to increase overall user numbers. But the shift to the algorithm, while definitely a smart move for Twitter, may have also had some impacts on traditional Twitter strategic approaches, particularly in relation to tweet volume and presentation. It's hard to say what the impact of this has been, exactly, but we recently published a post about changes to the algorithm and how you can increase visibility by working with the new features. Now, these are not ground-breaking 'hacks', it makes sense that more engagement equals more reach, but Twitter's algorithm, in particular, is sensitive to such actions. 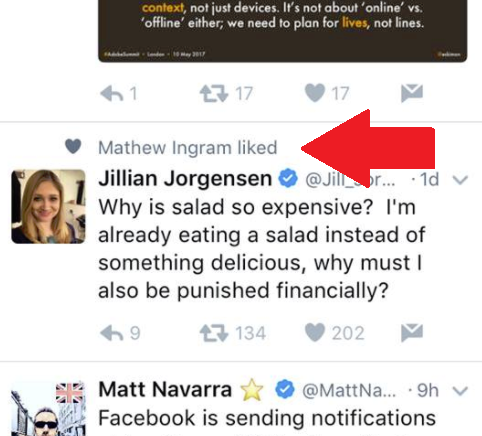 Here's a good example - here, I've been shown this tweet by Jillian Jorgensen, who I don't follow, but it's been shown to be because I do follow Mathew Ingram, and he Liked it. That gives you some idea of the extended impacts of the Twitter algorithm. But another, potentially negative, impact has been that some tweets are being clustered together, because timeliness is no longer the defining factor. You've likely noticed this yourself - when you first log on to Twitter for the day, the algorithm puts together a listing of all the tweets you might have missed, sorted by popularity and relevant to your interests. Because more popular Twitter handles generate a lot of engagement, this often means that you end up seeing several tweets from certain handles in a group, one after the other, rather than being spaced out, as the social manager would have intended. The potential impact is that users may be becoming blind to these tweets. Sure, the best response would be to ensure everything you tweet is highly relevant, but even taking that into consideration, seeing four to five tweets from the same business at the top of your feed every day can be overwhelming, and could be causing some to flick through those tweets to get to other content, or even unfollow to remove them from their feeds. This is a key impact of the shift away from timeliness and towards relevance - traditionally, Twitter has been based on real-time, on showing you the latest tweets from those you follow, which meant higher posting frequency was definitely the way to go. The average lifespan of a tweet is around 18 minutes, after that, it's gone, and as such, brands have been told to tweet more, as it's the only way to ensure maximum visibility. But the algorithm changes this, and may force a change in approach. Maybe, with the algorithm working to surface the best tweets, higher volume is no longer the best approach. It's not definitive, but you can see how the altered tweet order could be lessening the priority of volume, and may even be causing higher tweet volume to become an issue, rather than being a smart tactic. This is why it's important to keep an eye on the latest tweet algorithm changes and updates, and new features being rolled out to improve the feed. Just this week, Twitter's rolled out another new feature that could help drive more traffic, with a 'Popular Articles' section added to the 'Explore' tab on both Android and iOS. The feature's almost exactly like Nuzzel, a Twitter-based app which I've previously suggested Twitter should acquire or adapt (here, here, here and here). 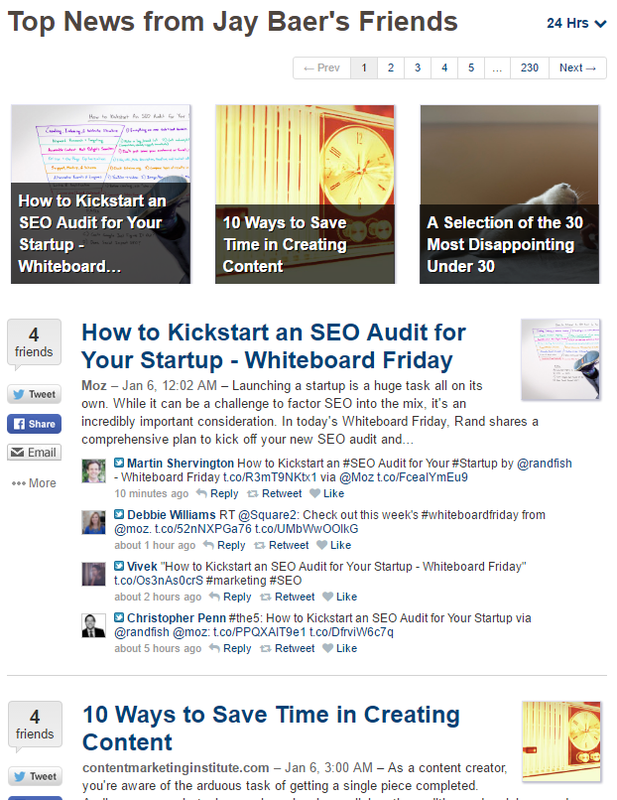 The tool highlights key articles of interest, along with notes on how much they've been shared, within your own network and more broadly. Really, it seems like a no-brainer addition - Nuzzel utilizes Twitter's social graph to highlight trending news items, either among your own audience or the audience of any other user. This helps you quickly and easily find the key topics of interest, at any time, via tweet discussion, and within dedicated communities of interest. 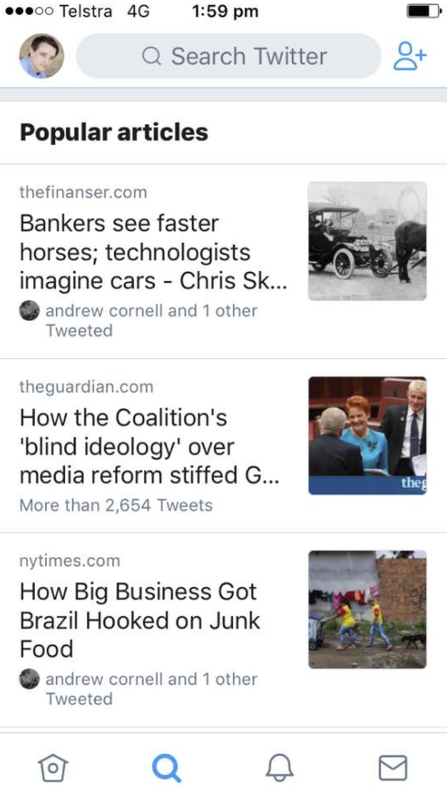 Twitter's 'Popular Articles' is a version of this - it doesn't provide the depth of functionality that Nuzzel does, but it's another way to highlight key topics of interest in your community, and thus, likely of interest to you. It also adds another way for brands and marketers to boost content exposure on the platform. These smaller details are key for any marketer trying to make best use of Twitter. As noted, Twitter's never been an amazing driver of referral traffic, but there are many ways you can utilize tweets, tweet data and the opportunities for interaction to benefit your business. Given these more recent changes, it's worth analyzing your Twitter approach, and maybe trying out some new tactics if you're seeing declines. It may also be worth considering what you should be using Twitter for - if it's not driving traffic, there are other ways you can utilize tweets to generate complimentary engagement, while newer discovery elements in Explore can also facilitate additional opportunities. Also, as a side note, Twitter has announced a new Twitter handle for Twitter Ads assistance - @TwitterAdsHelp. The new team will be responsive 9am to 5pm PST Monday to Friday for all your Twitter ads questions.